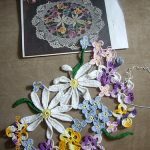 If crocheting is your hobby and therewith you admire flowers and beautiful things, this crocheted lily doily is just for you. 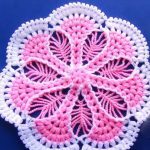 In addition to its decorative function, this small ornamental mat is very useful to protect surface of your table or furniture from scratches. 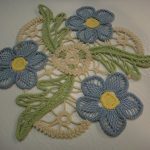 Also you can place a flower vase on it and it will definitely give an extra attractiveness to your home interior. 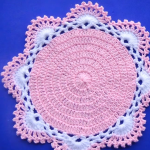 Doilies are also commonly used to decorate plates and cups and is the best present for your friends and family members. 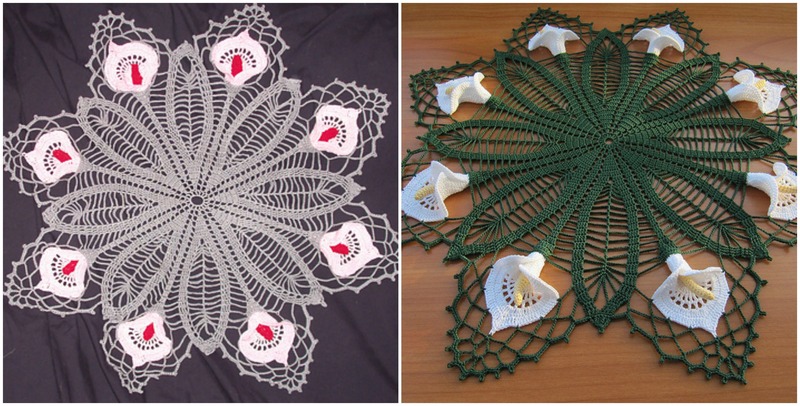 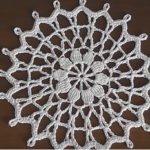 You have an opportunity to begin crocheting lily doily right know with the help of clearly explained pattern we have searched for you today. 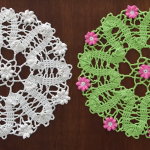 You can use different colors of yarn, according to your taste.